Unity on the North Shore, Evanston, Illinois, welcomes Rev. 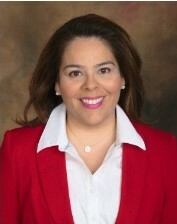 Christina Garza as associate minister. Rev. Garza is a licensed Unity minister, recently graduated from Unity Urban Ministerial School. In addition to presenting Sunday lessons and teaching, Rev. Garza will work with Senior Minister Rev. Kurt Condra to develop social justice and community outreach efforts in support of Unity North Shore’s core values of community service, diversity, prayer, acceptance, and fellowship.